A reliable source for Parts Washers Manufacturers information and a resource for accessing leading Parts Washers Manufacturers and suppliers. Parts washing is one of the last, but one of the most important, industrial manufacturing processes. The concept of parts washers is not a complicated one. Parts washers are industrial washers that clean, degrease, and dry industrial parts and furniture of all shapes and sizes. 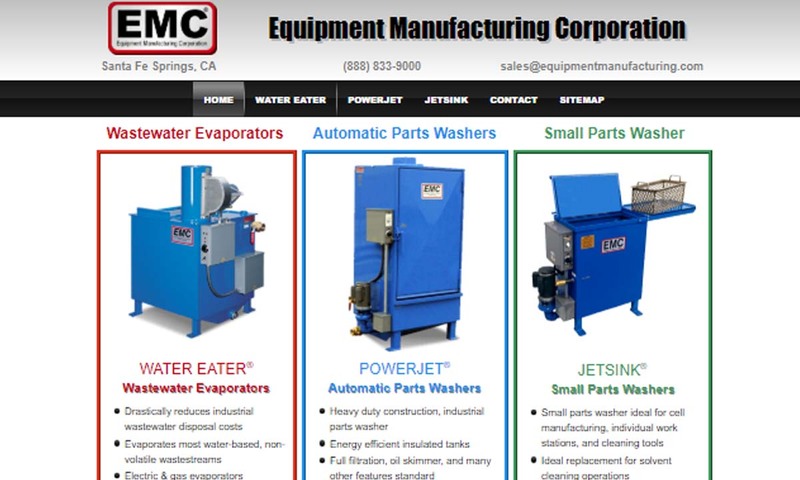 Parts washers are an effective means to removing contaminants of all sorts from various parts. Examples of these contaminants include carbon, oil, grease, grime, and dirt. Parts washers are most frequently used by the industrial, automotive, medical, and electronic industries, where they are used for preparation for surface cleaning, finishing, and distribution of parts and products like bolts, nuts, fasteners, screws, diesel engine blocks and related parts, automotive assemblies, rail bearings, and wind turbine gears boxes. They make possible many finishing processes that one could not perform on dirty parts. Among these processes are surface cleaning, painting, powder coating, zinc coating, electroplating, and lubrication. Industrial Parts Washer Manufacturers Parts washing is one of the last, but one of the most important, industrial manufacturing processes. The concept of parts washers is not a complicated one. Parts washers are industrial washers that clean, degrease, and dry industrial parts and furniture of all shapes and sizes. Before industrial washers were vats filled with detergent and water, called “soak tanks,” in which mechanics would soak parts for several hours. In the mid-1900s, auto mechanics and engineers got sick of this inefficient cleaning method and sought a better way do things. This is when they came up with industrial parts washing. The first parts washers consisted of solvents, a pump, and a drum. Solvents usually consisted of benzene, xylenes, mineral spirits and naphtha, or organic trichloroethylene. Mechanics would place dirty parts in a drum washer or rotary drum washer, where a low amp, flame tight electric liquid pump would skim it with solvent until it was clean. While early methods were much more effective than soak tanks, they were not environmentally friendly at all. In the late 1960’s, as people slowly became concerned for the welfare of the planet and its inhabitants, manufacturers sought to update their methods to ones that were safer and had less of an environmental impact. The first thing they did was transition from petroleum-based solvent types like diesel fuel, gasoline, and kerosene, to somewhat kinder degreasers, such as chlorinated solvents and vapor degreaser. Then, in the 1980s, governments began banning chlorinated solvents over concerns of environmental and safety hazards. Taking the place of chlorinated solvents were aqueous-based cleaning solutions. While they had been developed the decade before, in 1971 by Gary Minkin, they did not become the industry standard until the ban. 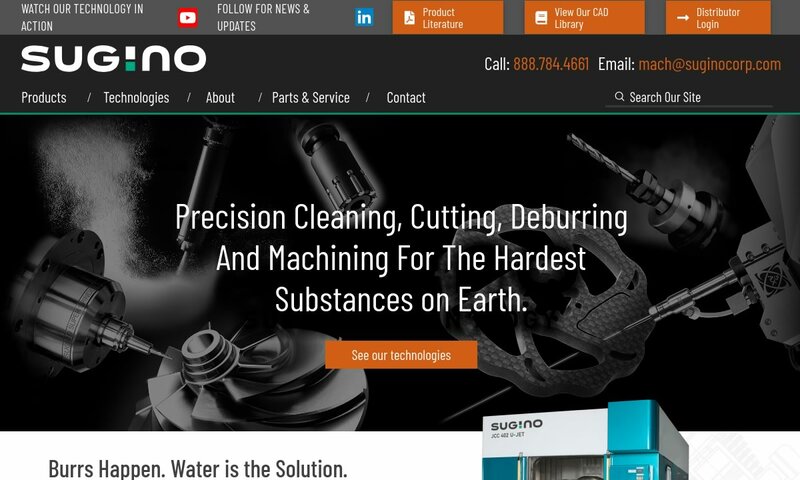 Aqueous solutions and cleaning systems proved to be highly effective, and they encouraged many innovations in the parts cleaning industry, such as the use of hydraulic impact pressure. Since the 1980s, we have seen great improvement, not only in the effectiveness and efficiency of parts cleaning but also in its environmental and health friendliness. Modern technology has made water-based cleaning solutions just as viable as chemical cleaning, which has encouraged this healthier alternative on a wider scale. In addition, the newest technology uses biomatic parts, which use a heater that contains a PH neutral cleaning solution and a microbe colony. Together, these parts are able to more naturally and safely break down contaminants like oil and grease. In addition, modern parts washing often uses CNC programming, an addition that has made the process even easier, faster, and less labor intensive. Every parts washer has different details, but in general, this is how industrial parts washers work: First, the parts are placed on the system belt or in the system vat. Then, the solvents, vapors, hot water, acids, detergents, etc., in which they are immersed or being sprayed break down the contaminants and remove them from the parts. As this happens, brushes and scrubbers help dislodge stubborn contaminants. The filtration system collects all debris and waste from this process. These machines are available in a variety of manual, semi-automatic, and fully automatic styles, with fully automatic styles being the most common. More commonly than by automation style, parts washers are grouped by the type of cleaner they use or how they clean parts. The former includes aqueous washers, solvent cleaners, and semi-aqueous cleaners, while the latter includes (among others): immersion washers, agitating washers, ultrasonic washers, spray washers, rotary washers, drum washers, and green parts washers. Aqueous cleaning systems, as the name suggests, are water-based parts washers, used for a large number of industrial cleaning activities. These devices use water, detergent, and acidic and alkaline compounds to wash industrial process equipment. Aqueous part washers can be used as a substitute for solvent-based cleaners; however, they will need some technical adjustment in order to meet the objectives of solvent-based cleaning. Also, the wastewater discharged by aqueous cleaning systems needs thorough filtering. The contaminants, such as oil, grease, and toxins, released as a result of washing, may have a varying and negative impact on the environment. Solvent cleaners are one of the most efficient parts cleaners. Also known as chlorinated solvent vapor degreasers, these cleaners have an unmatchable advantage of reducing the amount of vapor and grease during the cleaning process. Solvent cleaners mainly employ chlorinated solvents, for example, trichloroethylene and methylene, to perform effective cleaning. However, when it comes to controlling the production of waste, the solvent-based cleaners lag behind other parts cleaning appliances. In addition to this, because they use highly inflammable solvents, solvent cleaner operators must be very careful and should be trained and certified for using these machines. There is also a range of semi-aqueous cleaners that become liquefied in water. They can also be used directly in concentrated form. Since they can be mixed with water and at the same time be used separately, they are called semi-aqueous cleaners. These thinners are highly toxic and they could be lead to water pollution. Therefore, the waste generated by the semi-aqueous cleaning process should be methodically treated and filtered. Immersion washers are simply parts washers that employ some sort of immersion washing technique. They can be as straightforward as a tray or basket in which parts are placed and covered in water or a solvent, or they can be much more involved, featuring multiple stages and specialized processes. Agitating washers are a type of highly efficient immersion washer. After the parts are immersed and covered in a cleaning solvent, the machine vibrates and mixes them, using either paddles or impellers, thus shaking off the contaminants. Similarly, ultrasonic washers remove contaminants by scrubbing them off with tiny, ultrasonic bubbles, blasts, and solvents, created by sound waves and vibration. These washers are growing in popularity because they offer environmentally friendly, safe, precision cleaning. You can perform ultrasonic cleaning as a standalone technology, or you can incorporate it into your already existing aqueous or semi-aqueous cleaning systems. Ultrasonic cleaners allow users to clean even the most remote and miniscule nooks and crannies of their product. 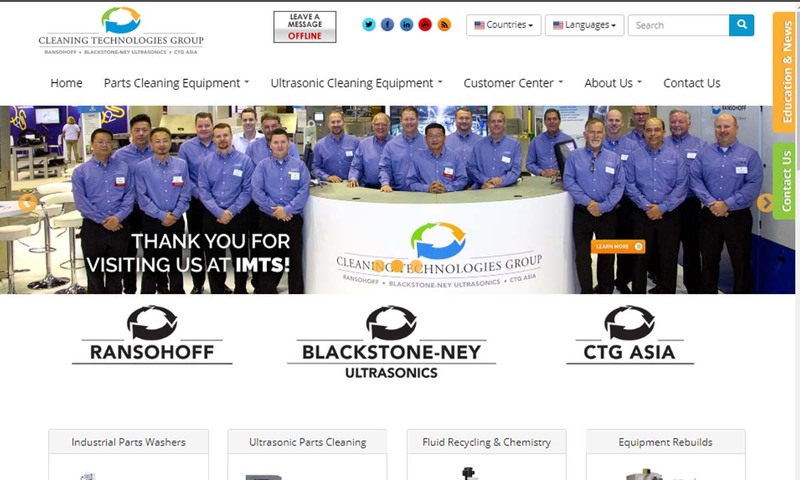 Ultrasonic cleaning is most useful in the cleaning of jewelry, heat exchangers, delicate electronics parts, watches, weaponry, precision tools, and dental and medical instruments. This type of pressure washer is typically cabinet-like and features a built-in conveyor belt. The conveyor belt moves parts along to be cleaned by spray washer jets of high-pressure water or aqueous-based chemical spray. The jets come in from different angles in order to get the best clean possible. Rotary washers clean parts by tumble washing, rinsing, and drying them. They’re often designed specifically for the application they serve. For example, some are made to wash large automotive components like engines and transmissions. Alternatively, some clean large volumes of small parts, such as bolts and fasteners. 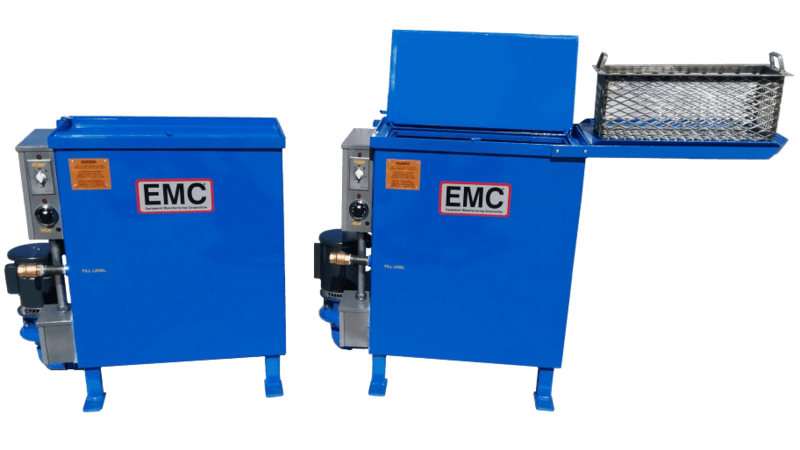 Drum washers are specialty industrial washers that exist in their own category; they are manufactured exclusively to wash drums, pails, and barrels. Drums used for industrial processes store and carry materials and chemicals that need to be removed after every use, like inks, grease, and adhesives. To be effective, drum washers must be capable of cleaning both the drum interior and exterior. To accomplish this, drum washers can use spray or rotary washer equipment, like nozzles. Manufacturers who are interested in reducing their carbon footprint can take things one step further than ultrasonic cleaning, by engaging in green parts washing. The newest green parts washers use biomatic technology, which places a microbe colony inside a heater washer that already contains a PH neutral solution. This combination enables the microbes to break down oil, grease, and other contaminants, effectively removing them. After this, leftover hydrocarbons are converted into carbon dioxide and water, which is then filtered and reused. To keep the microbes happy and thriving, oxygen is pumped into the solution. Not only is this process extremely environmentally friendly but it is low-maintenance, has low power requirements, requires no chemical purchases, and since the solution can be reused almost an infinite number of times, it is extremely cost effective. Beyond the washer itself, parts cleaning equipment includes a water heater, cabinet (sometimes called a housing or enclosure), pumps, scrubbers, nozzles, brushes, and a filtration system. Pumps are added to the system to help remove contaminants by increasing the pressure of its scrubbers, sprayers, and brushes. Finally, the filtration system keeps the equipment running smoothly by collecting leftover debris and waste. We recommend that you wash your machine parts after every production cycle. To do so confidently, study the tips we offer below. Don’t forget to scratch and clean the parts before using a cleaning appliance. Deburring, or removing rough edges, is an important stage before washing. The process enables smooth and uncomplicated cleaning. Burrs that surface on machined parts during operation can cause cleaning issues. Don’t attempt to clean too many parts. Some aqueous parts washers may not be suitable for cleaning a large number of parts in one cleaning session. This is also true with basket-style conveyor part washers. To get the best use of these machines, consider decreasing the number of parts being washed. Use the right appliance. Employing the wrong cleaning equipment consumes more electric power and labor than necessary and can greatly affect your cleansing results. For example, if your parts require ultrasonic cleaning, do not pick out a perforated metal basket for the job. Test part cleanliness, before and after washing and before moving to a subsequent step in the cleaning process. In many cases, cleanliness can be evaluated by eyesight alone and in other cases, it cannot be. Wet and dry parts can be seen and checked easily. Inner and unattainable parts can only be reviewed by testing and analyzing the appliances. You can contemplate using testing utilities to review the status and effectiveness of cleaning. Hydrocarbon cleaners can be used for this task. This device helps you in cleaning, as well as testing the condition of cleanliness. Alternatively, you can hire professional services to do this for you. Despite its many virtues, there is no denying the fact that parts cleaning results in the waste of materials and other resources, in addition to a frequent involvement of service engineers. Read the following section for a few techniques that will help you to reduce waste and cost associated with your production and parts cleaning cycles. Thoroughly check the condition of parts before scheduling cleaning. Avoid cleaning parts when not necessary. Exhaust air and liquid filters can be of benefit if you are looking to regulate your production costs. Air and water filtration systems remove all contaminants from an outlet or inlet stream of a production process and help ensure smooth operation. By implementing a filtration system, you can lessen the output of contaminants within your facilities. Alternatively, you can consider investing in part washers that come with built-in filtration systems. Some small part cleaners have an innate fluid or particle separator mechanism, which can double the life of the solvent. You can choose solvents that have a high flash point of more than 140 degrees Fahrenheit. High flash point solvents are those solutions that have a very low evaporation and odor emission rate. These thoroughly engineered chemicals dry at a slow pace, making them an ideal, cost-saving option. You can significantly control the cost associated with solvent consumption. For this, you need to make sure that the reservoir lid is kept tightly closed. It will decrease the feeding and leaking of solvents from each unit. Do not keep rags and towels in the cleaning basin—especially near the drain outlet/inlet. Doing so will result in wastage of solvents and ultimately add to your overall production cost. There are a great many benefits to industrial part washers. First, they rid your parts of pesky at best, destructive at worst dirt and grime. They make sure that your process machines are working well and seamlessly. Second, parts washers have low maintenance costs. Likewise, they have low operating costs. Plus, they’re easy to use and as hands-off as you want them to be. Finally, they are energy efficient and offer many eco-friendly solvent and processes choices. When designing an industrial part washer, manufacturers consider a number of different factors and options. First, they decide what type of washer it will be. They decide this based on the application requirements (part size and shape, parts volume, part material, industry requirements, frequency of use, etc.). From here, they must decide the machine configuration. Will it feature a conveyor belt? Robotic arms? A rotary table? A simple wire basket? A cabinet? If so, with what materials will they be made? Most often, cabinets, for example, are made from stainless steel, Industrial parts washer manufacturers must also think about whether the system should be CNC automated, as many are, or if the application is better served with a manual loading washer. They must also choose a cleaning solution. They do based on cleaning solution abilities, their compatibility with the parts being cleaned and their environmental friendliness. 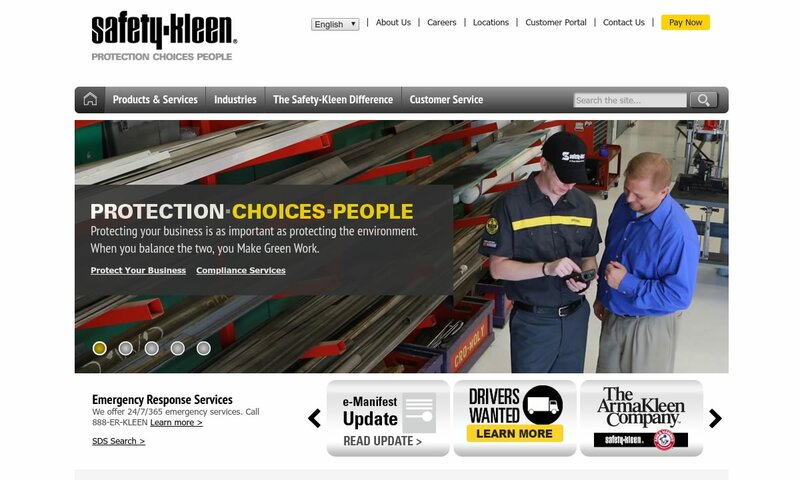 Since manufacturers have so many design options, it’s easy for them to customize your system. They can, for example, design washers for integration into new or existing systems with complex functions, like deburring, rinsing, drying and coating. They can also make standalone washers designed to work perfectly with the size, shape and volume of your parts load. 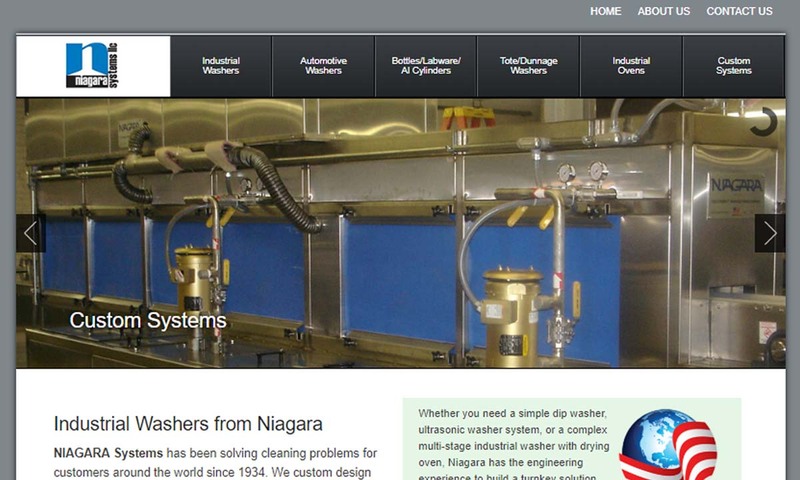 If you are operating within the US, your industrial parts washer should always be OSHA compliant. This way, you know it’s safe for operation around and by your employees. In addition, for quality assurance within the USA, we recommend you make sure your machine is ASME certified. For use both in the United States and abroad, look for an ISO certification. Other standard requirements depend on your application. To learn more, talk to your supplier or industry leader. Given the multitudes of options available on the market, it gets difficult to select a parts washer that meets your needs. There are several factors and specifications that have to be considered; in this article, those specifications are discussed so your decision-making will be easier. As you browse around, sales personnel or specifications will always emphasize the horsepower of a pump used in aqueous parts washers; however, for a good cleaning performance, the GPM is the most important factor. If you are confronted with the dilemma of choosing between two pumps of the same horsepower, go for the one with better GMP. For a washer to work optimally, it needs to maintain 170-175 degrees of temperature all the time. There are many models that lack a potent heating system, making personnel involved wait for washer to get hot again; nothing is more annoying in the hustle bustle of a maintenance and repair facility. Are larger metal parts washers better? They were at one time when reaching a saturation point was an issue to pump oil back over the parts for them to be cleaned. However, after the arrival of the oil skimmer, oil saturation does matter, making large reservoirs a deterrent. Large reservoir operates at higher costs, as those beasts consume more power to get to optimum temperature. Maintenance plays an important part in optimal operation of parts-cleaning machinery, and the absence of replacement or spare parts can extend maintenance or repair time, making the operation expensive over time. Therefore, availability of spare parts is a very important factor that needs contemplation while selecting a washer. Buying local parts cleaners can save significant capital in the long run, but always go for machinery whose maintenance cost is not high. At first, a modern and sophisticated design may look promising and give the impression of making things automated, with promise of cutting labor cost; however, if proved ineffective, those complicated parts washers, can be a source of grief when things do not go as planned and you end up investing more money than saving. Simpler is better when it comes to parts cleaning equipment. Invest in a parts washer that has a lid, not an open bucket or pan. This design can help reduce the evaporation solvent; thus, will save money in the long-term. Purchasing is more beneficial than renting parts washer. Frequently rented devices consume more energy and solvent or solution – adding to your cleaning expenditure. Parts washing is a thriving industry. As such, there’s a lot of competition out there for your business from suppliers, some good and some not so good. So, how do you find the right one for you? 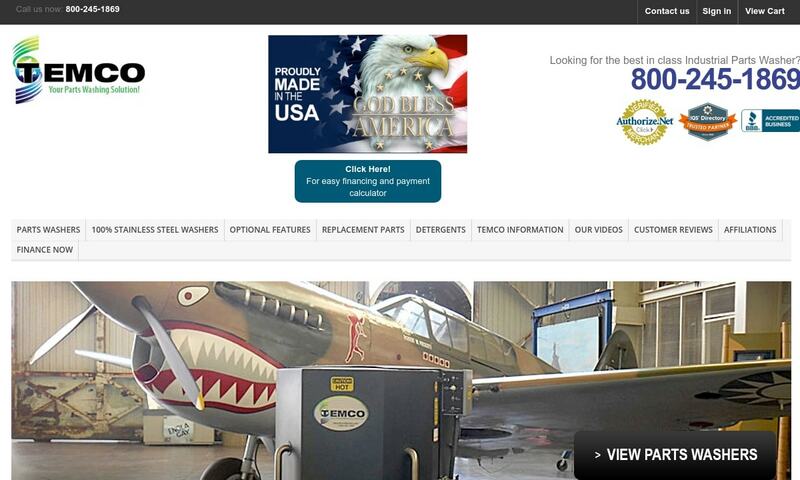 First of all, we recommend you take a look at those we listed throughout this page.  We’ve provided you with a list of names and profiles of those companies we believe are the best and most deserving of your business. As you peruse, we also recommend you take note of three or four in whom you’re most interested. Gather up your list of specifications, requirements and questions, and then reach out to each of those in that group. Compare and contrast their answers, focusing on pinpointing which one best suits your needs. Once you’ve zeroed in on the one, give them a call and get started.